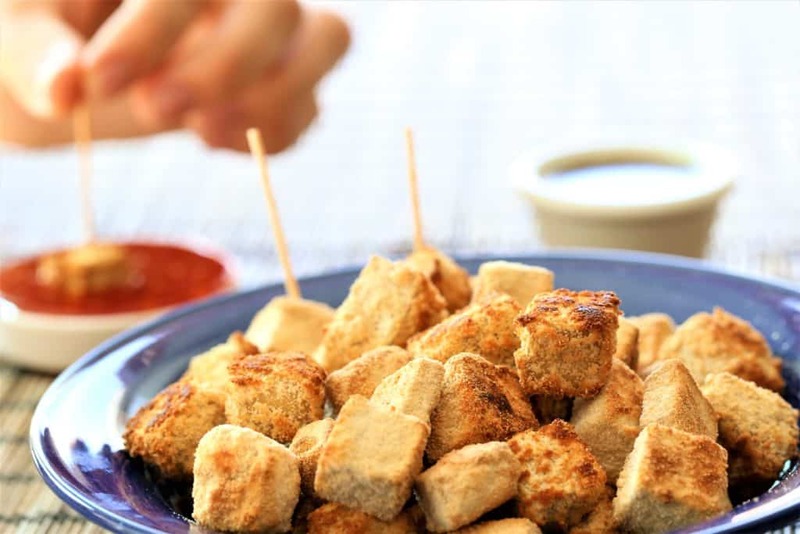 Crispy Tofu Bites are flavorful and crunchy vegan appetizers. 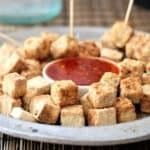 When I initially made these Crispy Tofu Bites, I was intending to serve them as an appetizer with Red Hot Chili Sauce. That worked out well–they are flavorful and crunchy without all the baggage that goes with typical snacks and appetizers. As we were enjoying them, it was clear that they were very similar to chicken nuggets, and that they would also be perfect for a main dish. Quick and easy with only 4 ingredients, they are also vegan, gluten free and dairy free. Enjoy! 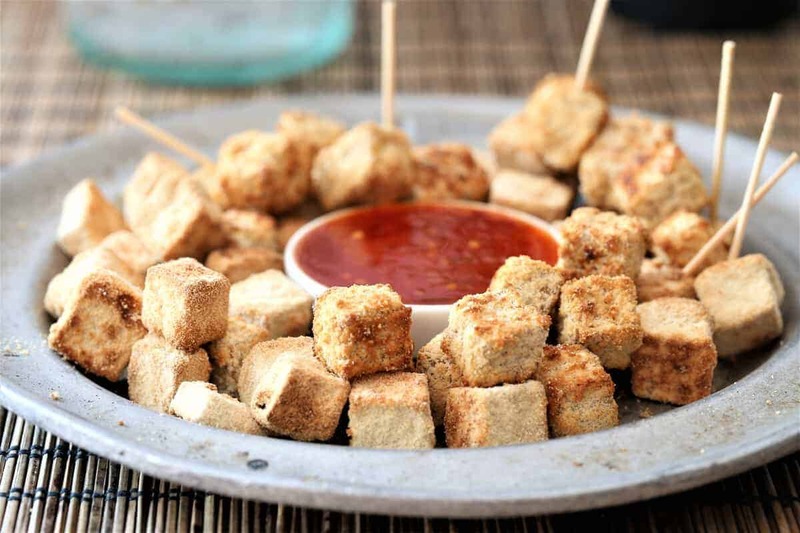 Crispy Tofu Bites dipped in chili sauce. Perfect snack all day any day. Vegan, gluten free, dairy free. Using your favorite method, squeeze water out of tofu. Mix Liquid Aminos, maple syrup and olive oil in wide pan or bowl. 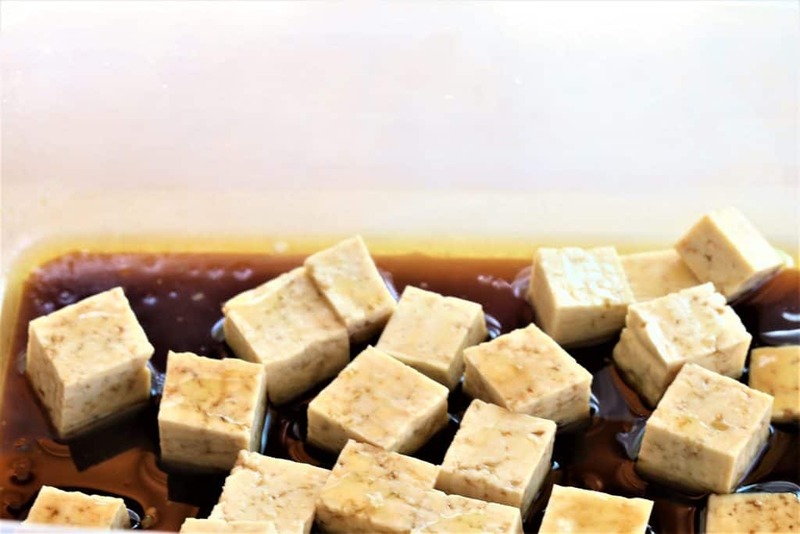 Marinate tofu cubes in liquid mixture for 20 minutes. 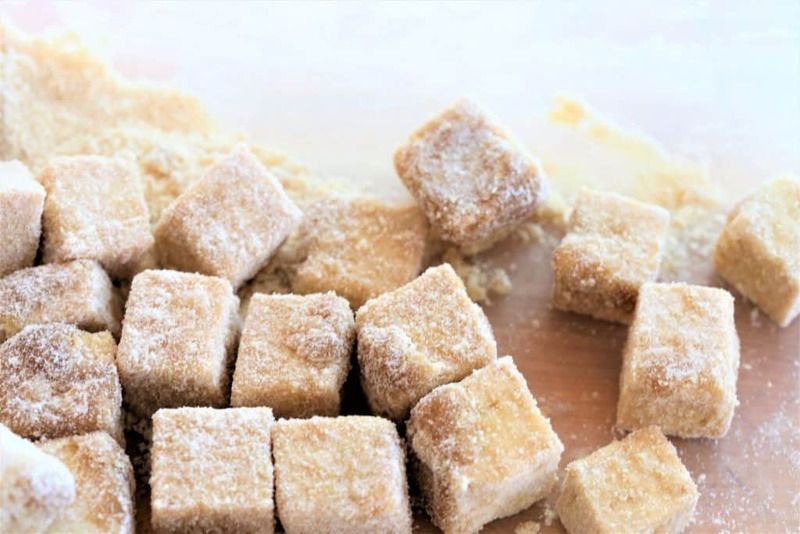 Gently remove cubes from liquid and roll in coconut flour until coated. 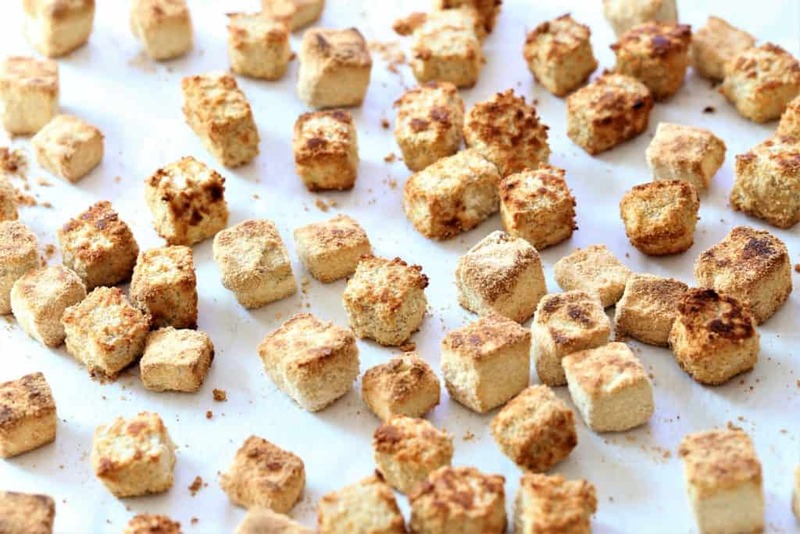 Place cubes on baking sheet lined with parchment. Drizzle remaining marinade mix on the tofu or use as dip for the crispy tofu bites. Bake at 400 degrees for 45 minutes, turning tofu at 20 minutes. Dip bites in red chili sauce or leftover marinade. See more recipe photos at Instagram.